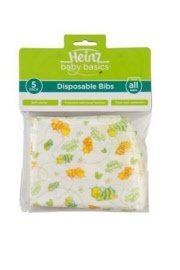 Each Disposable Bib has the Triple Layer Protection of a soft top layer, absorbent middle layer, protective waterproof backing. 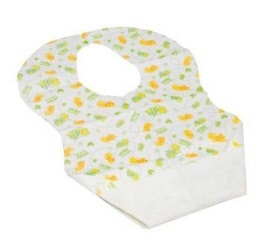 The fold-out spill catcher prevents food from spilling into little laps and the adhesive back tabs fasten securely to clothing to keep the bib in place. The adhesive neck tabs allow you to adjust to any neck size, making these a handy alternative to cloth bibs. 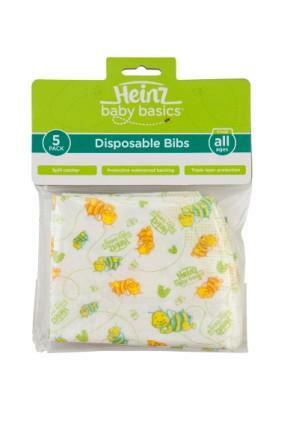 These Disposable Bibs come in a handy 5 pack. 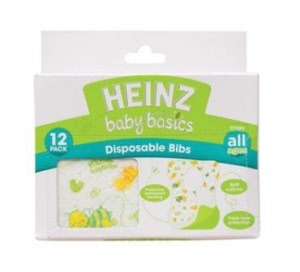 Disposable change mats are perfect for those moments on a plane, airport waiting lounge, hotel, park, wherever your destination!